Romans on the Don was an educational community outreach project funded by English Heritage through the Aggregates Levy Sustainability Fund. 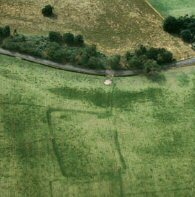 A number of important Iron Age and Romano-British cropmark sites have recently been investigated in Doncaster Metropolitan Borough, in advance of aggregates quarrying. The project aimed to raise awareness amongst communities living locally to these aggregate sites about the Iron Age to Romano-British historic environment of their area and to promote the work of quarry operators in preserving these sites by record. The project was developed by inHeritage and the South Yorkshire Archaeology Service with assistance from Doncaster Museum and Doncaster MBC's IT department. It was launched in November 2005 and completed in March 2007. Project outputs comprised a booklet, travelling exhibition, series of community talks, website, series of school visits and teachers' pack directed at Key Stage 2 History (with relevance to citizenship, numeracy and writing skills) and a comic aimed at 7-11 year.